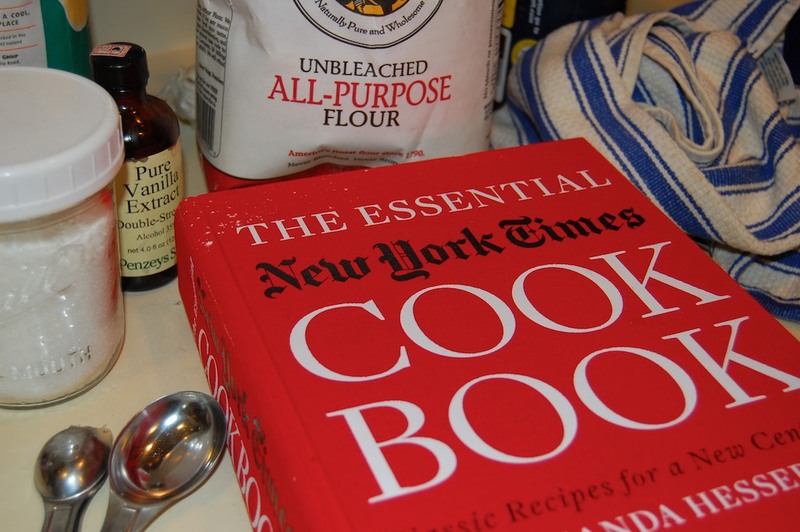 Recently, I bought a great new kitchen tome: The Essential New York Times Cookbook compiled by Amanda Hesser. This book has over a thousand entries culled from the last 150 years, so it's sort of funny that of all the recipes I could have tried first, I chose this one for department store blueberry muffins. I guess my curiosity was piqued because I lived in Boston for many years without knowing that these muffins, with an apparent cult following, had been only a few T stops away at the now defunct Jordan Marsh. To me, that's like not being aware that Durgin Park was known for its prime rib or Bailey's for its sundaes. How could I have missed this? The only thing to be done was to bake the muffins at home. I initially intended to follow the recipe verbatim to see what all the fuss was about, but in end I couldn't bring myself to use the full amount of sugar. Also, I was so surprised that there was no vanilla in the recipe that I convinced myself it had to be a typo and went ahead and added some. Strangely, I discovered afterwards that there are other iterations of "Jordan Marsh Blueberry Muffins" at cooks.com which have incorporated these very changes, but it's not clear if these were tweaks made by anonymous people with tastes similar to mine or if Jordan Marsh had a revised version at some point that didn't figure into the Times cookbook. In any case, these are good, old-fashioned muffins: tender and lightly sweet, buttery but not at all greasy, and bursting with berries. I'd say they're worth making for a special treat. 1. Heat the oven to 375 degrees F. Grease 12 large muffin cups. Sift together the flour, salt, and baking powder. 2. Cream the butter and 1 1/4 cups sugar in a large bowl until light. Add the eggs one at a time, beating well after each addition. Add to the flour mixture alternately with the milk, beating just until smooth. 3. Crush 1/2 cup blueberries with a fork, and mix into the batter. Fold in the remaining whole berries. 4. Fill the muffin cups with batter. Sprinkle the remaining sugar over the tops of the muffins. Bake until a toothpick inserted in the center comes out clean, about 30 minutes. Cool for 30 minutes before removing from the pan. 5. Store, uncovered, or the muffins will be too moist the second day. *I decreased the sugar to 1 cup, plus 1 tablespoon for sprinkling over the tops. Next time, I'm going to use a coarser sugar, like turbinado (a.k.a. Sugar in the Raw). I also added 1 teaspoon vanilla extract. *I highly recommend using paper muffin liners and greasing the top of the pan. I didn't use liners and mangled some of the muffins trying to get them out of the pan. 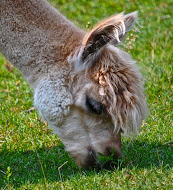 They're very tender so the tops detach from the bottoms very easily! 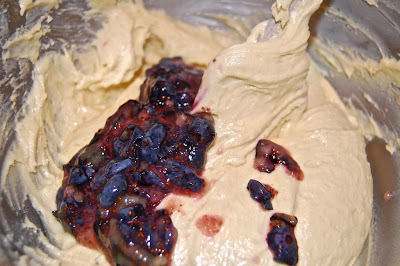 *I liked the idea of mashing some of the berries, and wish I had mashed more of them. My berries were on the large side, which isn't ideal for distribution and can adversely affect the muffin's structure. If I have large berries the next time I'll mash half of them. 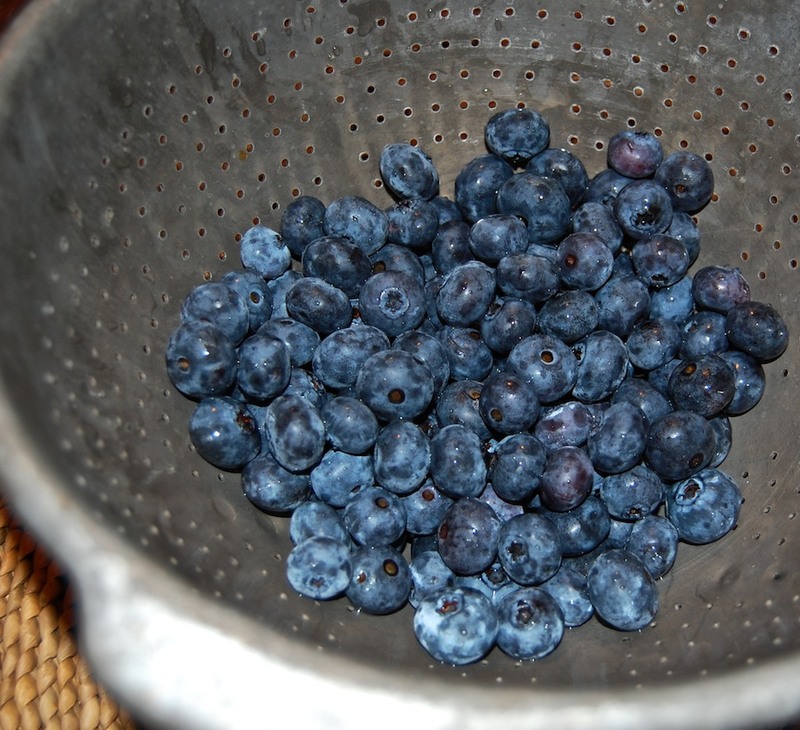 If you have wild blueberries (lucky you!) I would stick with the original recipe in this regard. Welcome to Mad River Kitchen Dee Dee! 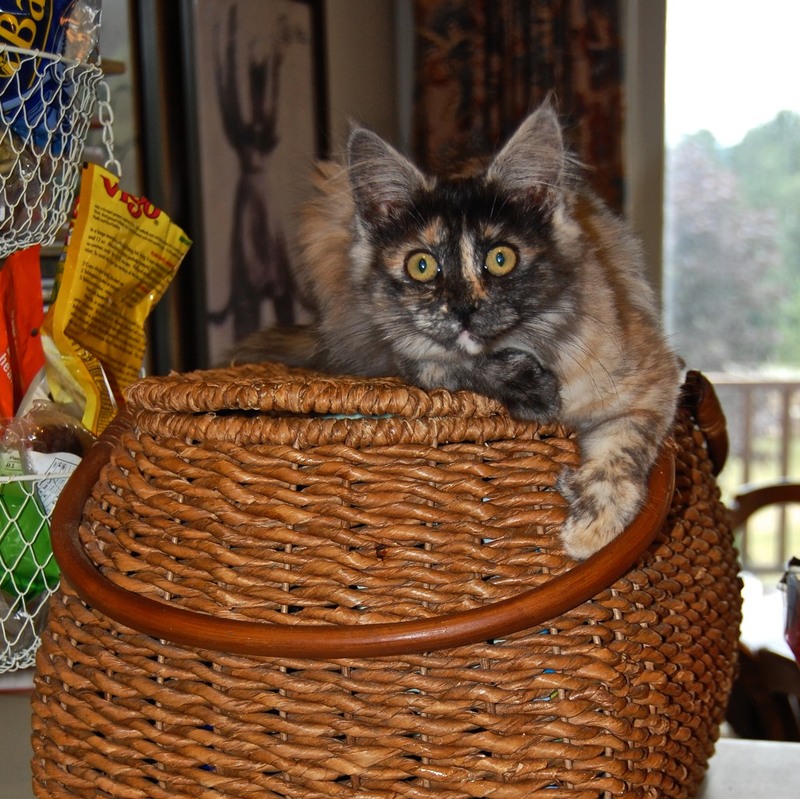 You are so cute and already helping out around the house! 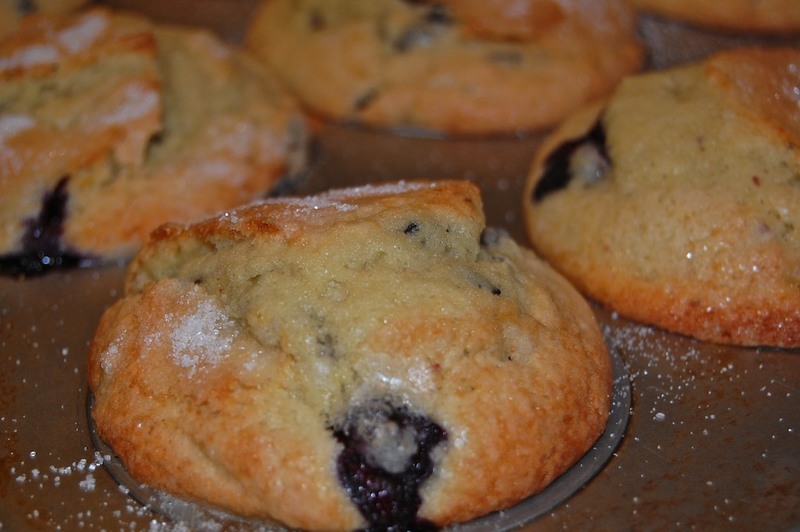 I love blueberry muffins and remember getting muffins in the basement at Jordan Marsh! The thing is I can't remember for sure that they were blueberry but I think they were. Thanks for the great recipe Tiner! Just got back from Susan's - she treated me to one of these muffins, grilled with a little bit of butter. Delicious!! Perfect with a cup of coffee and good conversation. Wish you were there! Thanks Karen - Wish I was there too! The passion for this Monday as it was presented with the latest information thanks .